In this article, we will discuss how to customize the validation for REST API and we will use Hibernate Validator, which is one of the implementations of the bean validation API. We get Hibernate Validator for free when we use Spring Boot Starter Web. A clear message indicating what went wrong? Which field has an error and what are the accepted values? What can the consumer do to fix the error? 1. Hibernate Validator available on the classpath when we use Spring Boot Starter Web. 2. Apply validation annotations to a bean. For example, @NotNull, @Email, @NotBlank, and @Size validations. 3. Enable validation on Spring Rest Controller by adding @Valid annotation in addition to @RequestBody. 4. To customize response validation we need to extend ResponseEntityExceptionHandler class and override handleMethodArgumentNotValid(MethodArgumentNotValidException ex, HttpHeaders headers, HttpStatus status, WebRequest request) method. We will use the above steps in below complete example. Let's demonstrate how to do bean validation with an example. We will develop a simple Spring Boot RESTful CRUD APIs for Employee resource and we will implement bean validation using Hibernate Validator. Let’s add a few validations to the employee bean. Note that we are using @NotNull, @Email, @NotBlank, and @Size validations. Add @Valid in addition to @RequestBody. @Valid annotation enables the hibernate validation. Let's create a complete EmployeeController class. Let’s define a simple validation response bean. 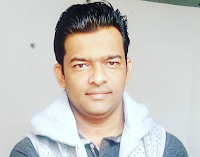 Let's put together global exception handling, a resource is not found exception handling and field validations logic in GlobalExceptionHandler.java file. This spring boot application has an entry point Java class called SpringbootCrudRestApiValidationApplication.java with the public static void main(String args) method, which you can run to start the application.